We know from two sources that Gustav Römhild immigrated to America from Schwarzburg-Sondershausen. 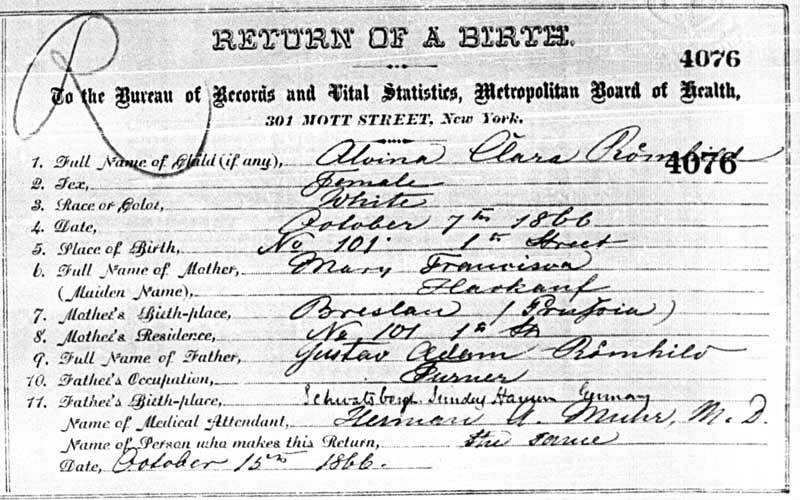 One source is a corrupted version, "Schwatsberg-Sunday Haven," on the birth record of daughter Alvina. The second is the entry of "Schwarzburg" on Gustav's passenger list of 1854. 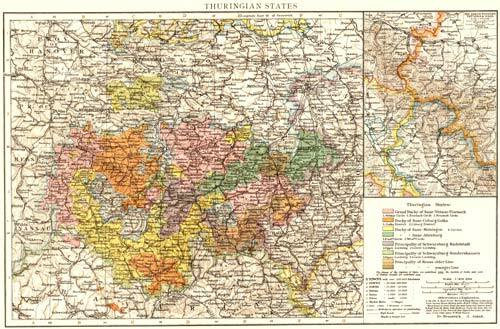 Schwarzburg-Sondershausen was a small principality in what is now the Thuringian state of Germany. I suspect the history is complicated. 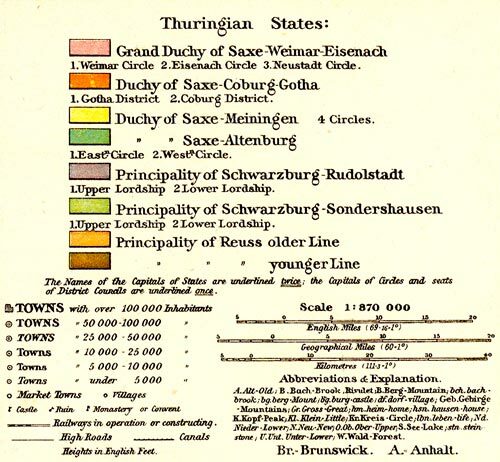 There is an adjacent principality of Schwarzburg-Rudolstadt. I do not know the name of the village from which Gustav came, but the areas involved are small and therefore we may get lucky. Schwarzburg-Sondershausen comprises two distinct, separate, but nearby geographical areas depected in the greenish hue. A smaller potion containing the city of Armstadt lies just to the south of the larger. They can be seen in this map of uncertain date. The village of Schwarzburg in is actually in the Principality of Schwarzburg-Rudolstadt. What makes this matter even more tantalizing is that the only village named Römhild in Germany today is only a short distance away. The whole area is just a two hour drive from Nürnberg and is begging for a visit! Addendum 16 Sep 2011: By sending letters of inquiry to the three or four largest towns in the former Schwarzburg-Sondershausen, I was able to identify the birthplace of Gustave Adam Römhild. 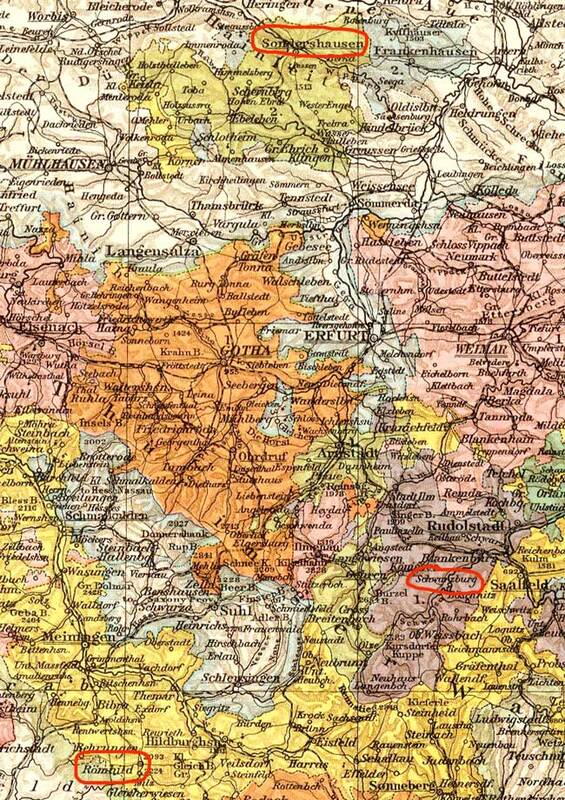 Großbreitenbach can be seen on the map above in the small green area one third of the way from circled Schwarzburg towards circled Romhild. I visited the town last month and have a treasure trove of new information. The original church books are on site. Peter Hasselbacher, 2 Dec 2010. Contact me.